Choice Recovery's approach to rehabilitation is entirely flexible, and never defined by traditional '12 Step' or pre-planned models. Our recovery plans and treatment programs help you create a personalized path to a more fulfilling and independent lifestyle. World-class health care is provided by a team of dedicated specialists, and our rehab program provides one of the highest clinician-to-client ratios in the industry. Recovery is defined by support, freedom & empowerment and NEVER shame, labels and isolation. Choice Recovery provides an environment of acceptance, perspective and collaboration to help those exhausted from the fight with addiction. Interested? Why not give us a call today? If you've ever found yourself trying to convince everyone around you that you're NOT one-dimensional and DON'T have simple problems - then we fully understand. Your situation IS complex. Substance abuse is sometimes an attempt to solve problems in one or more of these dimensions. Superficial labels and rigid diagnoses often ignore our humanity and instead create shame, reactivity and even exclusion. Your personal recovery requires flexibility and hope! Substance use and its lifestyle consequences affect most, if not all, of these systems. As a result, the process of recovery should include ALL of your internal systems, your influences and external environment. 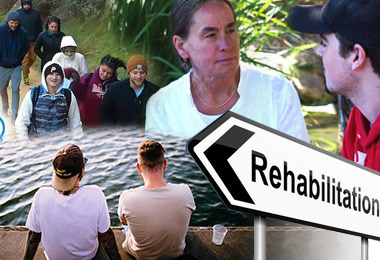 Choice Recovery has already helped hundreds of people to recover from unsustainable lifestyles. Our clients are unique, complex and in need of highly personalized treatment plans. Creating and owning your new path forward is exciting and incredibly personal. It's a life changing process you must do yourself - but this does not mean you are alone or isolated. Defining a successful system of self-management and balance requires perspective and encouragement. We have designed a program that utilizes mindfulness, social support and proactive problem-solving discussions that bring people together for a common purpose: creating a meaningful life outside addiction. Regardless of your previous treatment or recovery experience, our goal is to expose you to a wide range of support groups, mental health tools and new perspectives, so you can make educated decisions about recovery and self-management. The more you understand and believe in your news skills and direction, the easier it is to teach your family and friends about how they can support these new changes. We do not believe you have to be perfect or an expert in recovery, but you need to become a leader in your new life. Understanding your own internal system and knowing how to find support in your local community helps you create the map and direction to become that kind of a leader. Healthy relationships, strong boundaries, social supports and learning how to have sober fun, represent an exciting part of your future. You can learn how to minimize stress and relapse risk with peers who are looking for the same creative answers, through our life changing group activities. Group Therapy has long been considered one of the most powerful forms of treatment. Clients have the opportunity to participate in clinical-focused therapy groups weekly. Under the direction of a therapist, clients are able to address issues of emotion, cognition and behavior. Our clients’ experience and insight can provide resources to other group members who may be struggling. Choice Recovery's intensive outpatient treatment plans also include 3 days of treatment every week (with Vivitrol shots offered on-site). Treatment plans also include weekly med management and individualized help based on your needs. Weekly family support meetings represent a very important part of our recovery program. As a participant, you can also attend individual therapy sessions up to 3 times per week. Clinical and recovery-focused therapy groups will often revolve around specific issues. These groups are mostly therapist driven, didactic and psycho-educational in nature. Many themes of these groups include handling conflicts productively, mood management, self-efficacy, family issues, new coping skills, relationship-building and daily life skills. 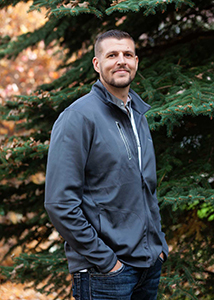 These presentations often focus on financial independence, personal organization, nutrition, and other relevant skills designed to encourage empowerment, personal health, long-term sobriety and independence. At Choice Recovery, we provide a program that supports recovery of the total individual; this includes physical health, emotional and mental. Few people fully understand the significant role that diet and nutrition plays in addiction and recovery as well as other conditions that often accompany addiction like depression, anxiety, and ADHD. Research confirms that when a traditional recovery program is combined with a complete diet and nutritional supplementation program, an individual in recovery has more than a three times greater likelihood of staying clean and sober then if they simply attended a typical recovery program. As such, an important part of our program is to restore the body’s physiology allowing it to repair from the strains of addiction. 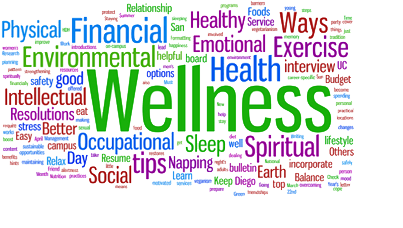 Family wellness has an enormous impact on the emotional, social, and biological development of each of us. The family strength and connection either pushes us closer to recovery or it becomes a barrier in creating the life we want. Research has shown that families that can communicate, problem-solve, validate, and accept each other during challenging times have much stronger chances of surviving. We help families come into contact with meaningful knowledge, skills, and perspectives that help create connection, empathy, and motivation. All families struggling with addiction are tired, frustrated, fearful, and often feel isolated. The pain, disappointment, anger, and confusion they feel is real and often consuming. We offer a judgment free environment to find support, skills, and empowerment. CRAFT is a skills-based program that impacts families in multiple areas of their lives, including self-care, pleasurable activities, problem solving, and goal setting. CRAFT teaches families behavioral and motivational strategies for interacting with their loved one. Participants learn, for example, the power of positive reinforcement for positive behavior (and of withdrawing it for unwanted behavior), and how to use positive communication skills to improve interactions and maximize their influence. CRAFT is not a quick fix, but rather an approach that can benefit both the substance user and the family in the short and long terms with a holistic plan of action and a more optimistic view. Once chaos, pain, control, and avoidance cease to dominate your focus, you get to choose what your life is going to be about. It is likely that you have a desire to experience enjoyment, support, and connection in your present and future life. Well-being and life-satisfaction increase as you make emotional and behavioral changes that are aligned with your true desires and values. Choice Recovery provides an environment to help you find ways to understand and accept yourself by looking beyond medical labels, symptoms, and other shaming and negative definitions. Becoming self-aware and breaking addictive cycles are significant parts of the process of continued self-understanding. The process of defining yourself happens through careful examination with skilled professionals who can help you see and accept your true self. Peer and family support are different for everyone but informing family and friends about your values and what motivates you are important steps in creating the future and lifestyle you intend to have. Unfortunately, many people suffering with addiction feel stigmatized, labeled, and often hide due to shame and judgment. A recovery environment filled with reactive, close-minded, and black and white thinking can inhibit growth, discourage creativity, and increase the risk of repeat use. Every part of your program is dedicated to creating an accepting, validating, and solution-focused environment where values can be explored and tested. 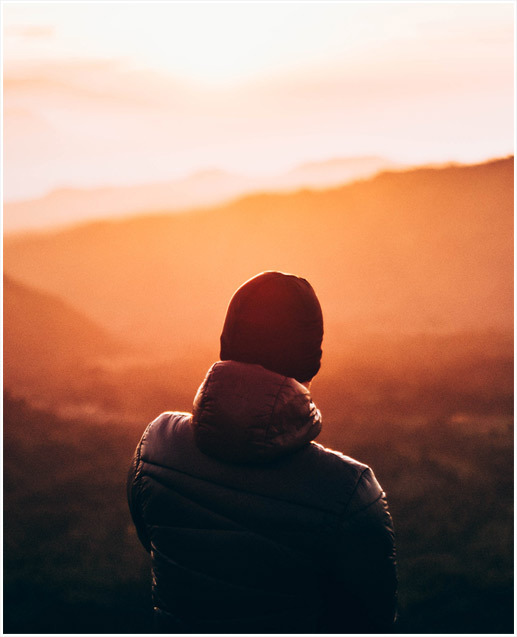 With therapy and comprehensive support, we will help you fortify long-term and internal forms of lasting motivation that provide direction and self-mastery. 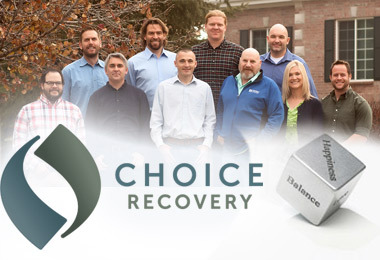 What Else Makes Choice Recovery Special?